This one is for the Perdomo cigar lovers! Carry your cigars with style personalized for you or as a gift. This case features the Perdomo logo hand tooled and hand dyed by me. 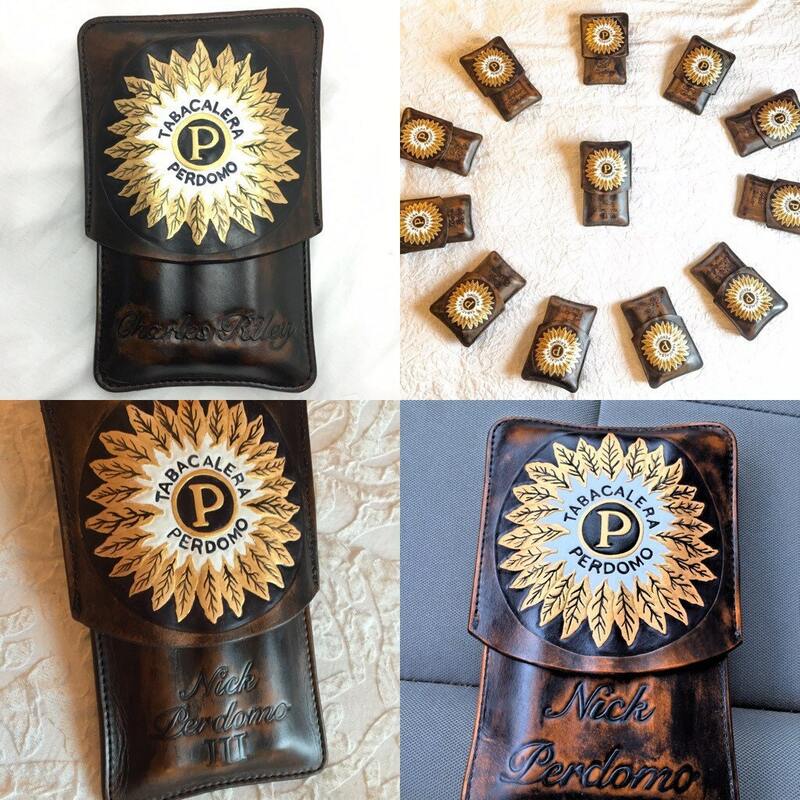 I have made 15 of these cases for Nick Perdomo for his sales team, and you can have your very own! They are antique brown cases and each case color varies per case. This is a made to order three cigar holding, leather telescoping case. I use vegetable tanned leather hand cut, hand and machine stitched, hand carved, and hand dyed and finished with eco friendly finishes. Please allow at least 6-8 weeks for order to be complete and shipped. I have my iPhone with the Etsy app on my hip at all times and will notify you as soon as things are complete.